This is indeed an absolute blend of white chocolate and creamy/milky chocolate. 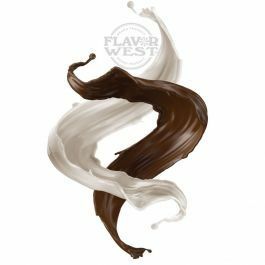 This is a good flavor perfect for mixing with cream, dessert, coffee or other recipes. Type: Double Dutch twister water soluble flavoring. Ingredients: Natural and artificial flavoring, propylene glycol and alcohol. USP Kosher Grade Flavoring. Usage Rate:15-20% for E-use. Flavor Suitability: Drinks and beverages, desserts, pastries, candies, lip balm and more. Specific Gravity: 1.05 No Refunds on Flavoring.